Winter is a magical time to plan a wedding. Unless you live in a part of the world that remains warm year-round, keeping your wedding guests warm and comfortable should be on your to-do list. If you will be getting married this winter, most of these ideas can still be done as last-minute additions to your plans. Planning a winter wedding for next year will give you lots of time to expand on these ideas from WhereBridesGo.com and add your own personal touches. Instead of starting dinner with a salad, opt for soup instead. Incorporating a few spicy items into your hors d'oeuvres will warm up tummies too. Everyone enjoys eating home-style comfort foods on a cold day, so think about serving items like a gourmet mac & cheese, roast beef with gravy, mashed potatoes, and similar dishes. An extra touch that everyone will enjoy is a nice hot beverage. 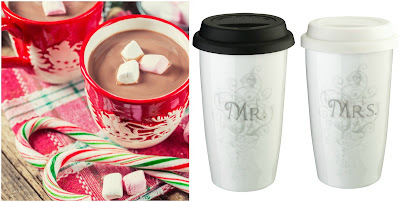 A hot chocolate station can be filled with extras to be added to the cocoa like mini marshmallows, cinnamon sticks, candy canes, whipped topping, and more. Adding a coffee bar to the reception room offers a quick warm-up for everyone. You can feature different flavored coffees or a variety of creamers and syrups. A signature drink including whiskey doesn't have to be served hot, but it can definitely warm up the person drinking it. A basket full of fleece throws or shawls with a cute message for your guests tied on is a lovely addition to a winter wedding. Make sure that there will be enough for everyone to have. Mittens or gloves at everyone's place setting make an adorable favor too. Your guests may not be wearing them at the reception, but these favors will be appreciated on the trip home and in the future. Booking a reception space with a fireplace will make the event extra warm and inviting. You can even plan a late night snack of toasted marshmallows for a warm evening treat. 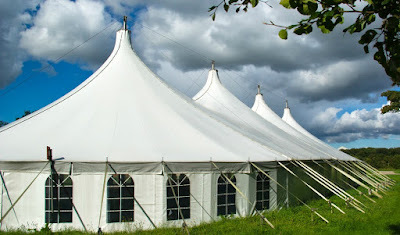 If you simply must have your wedding and reception outdoors, tents today can be incredibly warm and comfortable. 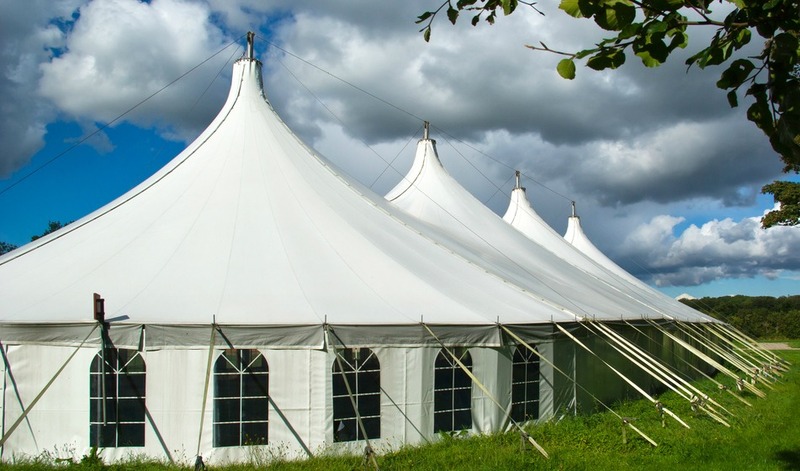 There are tents available that are tall enough for elegant chandeliers and that have windows so that you can stay warm with the sides down but still have a view. A few heaters placed throughout the space will make it feel like you are indoors. Make sure that some amazing music keeps everyone on the dance floor and you may even have to turn those heaters down! Your guests' comfort is important, no matter time of year that you decide to get married. There are lots of clever, creative, and fun ways to keep your wedding guests warm and comfortable in the winter. 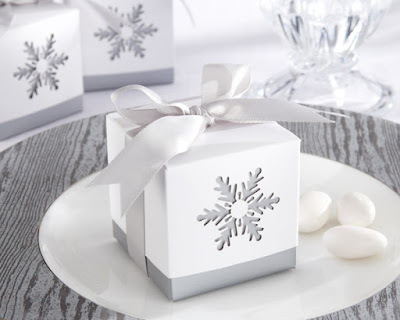 WhereBridesGo.com has lots of adorable winter-themed wedding decorations for you to use at the reception and ceremony too. A little preparation will assure that everyone will be happy and enjoy the day along with you and your new spouse.